So back in August I had an induction kit, Scorpion secondary de-cat & a Scorpion non res cat back fitted. Had it remapped to a stage 1 which went very well with no problems. Today I had a Scorpion primary de-cat fitted & had it remapped to a stage 2 was hoping to increase the power as well as get some pops & bangs from the exhaust. No pops & bangs but the power increased slightly but at top end. But from 40mph if I give it some the clutch slips. From what I’ve been told this is normal so I would need to invest in an upgraded clutch & that Astra J VXR’s can’t get pops & bangs mapped in. I have attached dyno graph results below. Any help & advise will be appreciated. Last edited by som72som; 14th September 2018 at 09:36 AM. Direct injection = much more efficient burning of fuel so none spare to ignite and bang. You need an H to get them. Cheers mate, any ideas on the clutch slipping? I'm not the best to advise you on that mate. I'm an H owner and only really extensively know about that lol. I just know that the J used direct injection like the vag cars, so pops and bangs aren't as forthcoming as from the older H.
Just had my J done at WG Motorworks to Stage 2 and I was told that the clutch can slip, apparently it's hit and miss. Last year I had a new clutch and flywheel and luckily my clutch does not slip at Stage 2. I do not get pops and bangs. My Stage 2 included a primary de-cat (secondary left in), induction kit and uprated spark plugs. 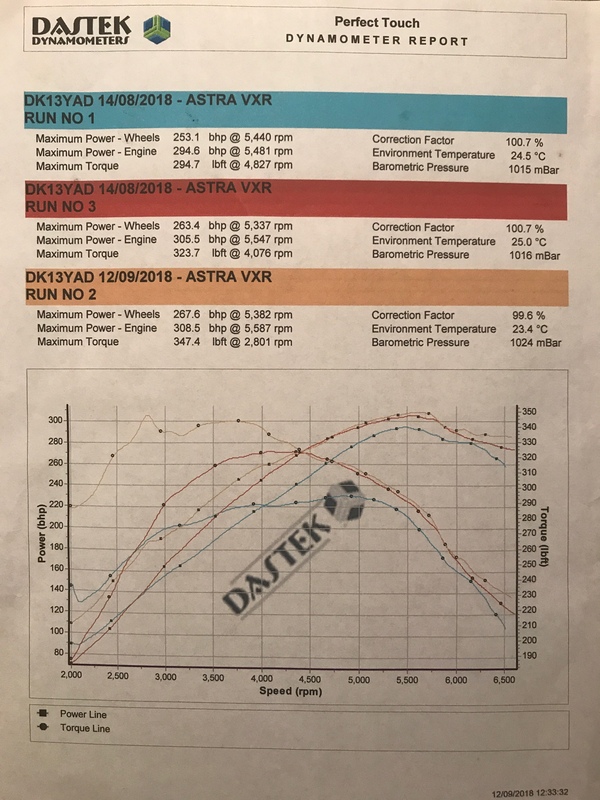 One thing I've noticed on your graph is your torque is quite low for a Stage 2 and I am surprised your clutch is slipping at 347lbft but I suppose if it's worn it will slip. Mine is making 390lbft and 320bhp and it's fine. 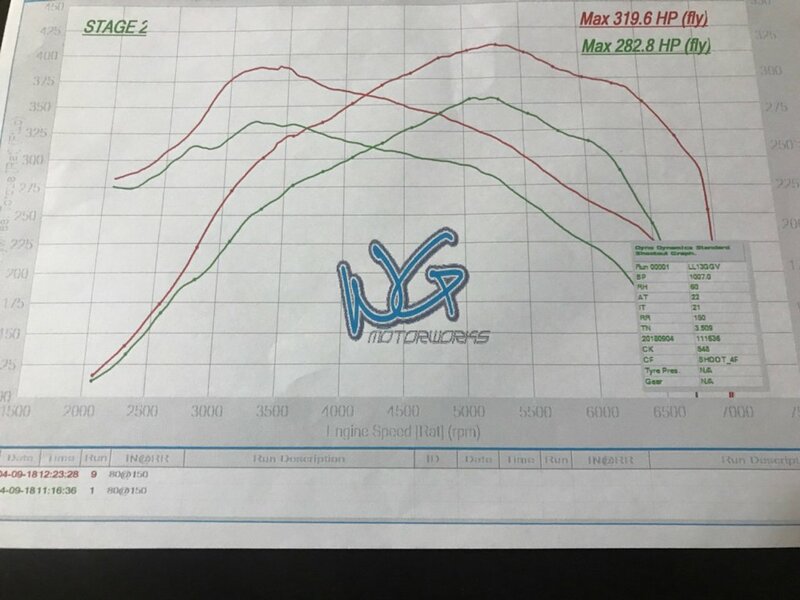 Quite an odd torque curve as well but I suppose each tuner does it different. You retain the stock DMF with the uprated clutch. Thanks for your response, I think I will contact WG & pop to see them. Would you have their contact details mate?